Now there is a limit to book IRCTC 6 tickets per month. 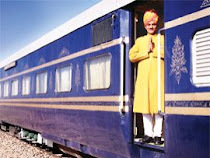 Previously you can book 10 tickets per month on the Indian Railway Catering & Tourism Corporation Limited website. It means a user can do railway ticket booking for only 6 tickets in a month. But it creates a problem for the people who travel frequently in Indian railway. 6 tickets in a month mean only 3 to and fro journey or office trip ticket can be booked in a month through an IRCTC account. But Indian Railway Catering & Tourism Corporation Limited has increased the monthly limit on tickets booked on the www.irctc.co.in website from six to 12 tickets per month for users who verify their Aadhaar number in their account. If you want to book more than 6 tickets per month then you have to update Aadhaar number of any one of the passengers in your www.irctc.co.in account. There are two ways to Update Aadhar Card detail in your account. Open IRCTC website www.irctc.co.in. You can use the Green button above on the toolbar. Go to "My Profile" on the menu bar. Click on "Aadhaar KYC" to open the "Aadhaar KYC" Form. Click on "Send OTP" button. An OTP (One Time Password) will be sent to the mobile number linked to the Aadhaar Card. Enter verification Code and submit to complete the process. Select any one passenger from the passenger list and select Aadhaar ID in "ID Card Type" option. Enter the Aadhar no. of the passenger in the "ID Card Number" option. Click Submit button if the passenger is new or Update if you updating the existing passenger details. In the IRCTC 6 tickets per month can be reserved on a single ticket under general quota while Tatkal bookings allow four passengers per ticket. So you can book only 4 passengers in a Tatkal ticket. Indian Railway Catering and Tourism Corporation Ltd has taken this step after analyzing that only 10% users are booking more than 6 tickets per month and rest of 90% users book six or less than 6 six tickets in a month. It also was done to restrict people who may be misusing the online ticket booking limit of ten tickets per month. It is also done to encourage people to link their Aadhaar number to the IRCTC account. But still, users can continue to book up to 6 tickets a month without validating their Aadhaar. So keep doing railway ticket booking.